Gond ke Laddu or Dinkache Ladoo are generally made in all parts of India during winters.Gond is also called as Dink in Marathi and Gundar in Gujrati. These laddus are made from Gond /Dink /Gundar (Edible gum), Wheat flour, Ghee and with lots of Dry fruits. Gond Laddus are warm in nature and that’s why it is made in winters and is given after pregnancy to nursing mothers. These Ladoos are made in all parts of North India, Maharashtra, Rajasthan, Gujarat and Madhya Pradesh. In Hindi, these Laddus are called as Gond ke Laddu. 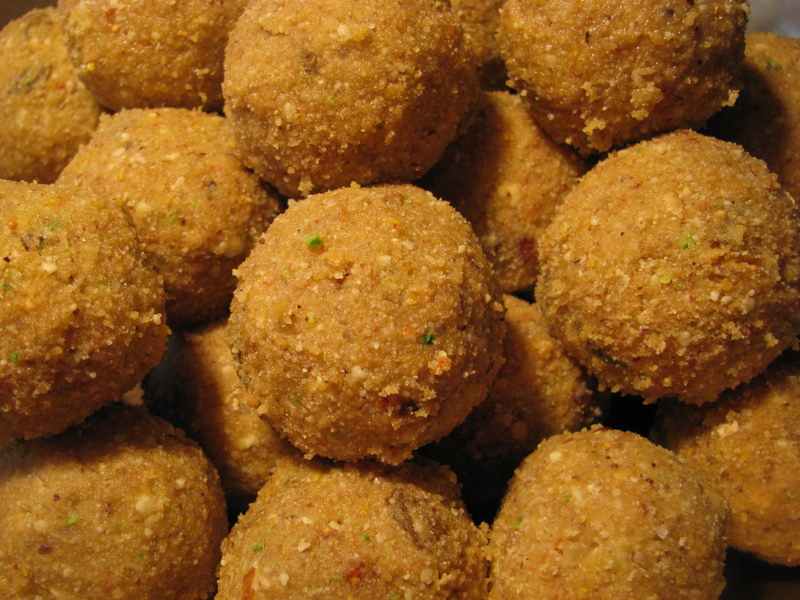 In Marathi they are called as Dinkache Ladoo and Gundar Ladoo in Gujarati. 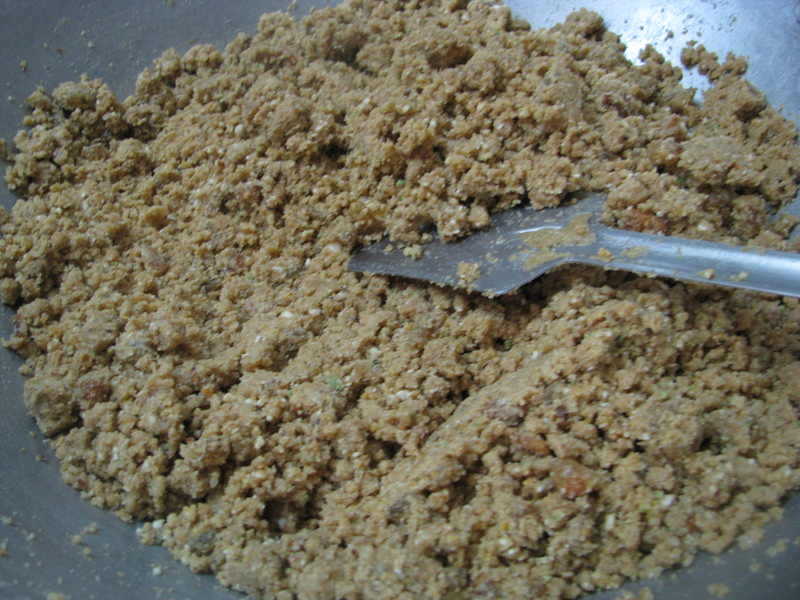 Many Maharashtrians also make Dink Ladoo with Methi (Fenugreek seed / Methi dana). During winters, you can get Dinkache ladoo from any halwaii or sweets shop. In Pune, you can get good quality Dinkache Ladoo from Chitale bhandu or Kaka Halwaii. Many times, the quality of ingredients used to make Gond Laddu in no name shops is substandard. This is generally done to cut the cost. Gond ke Laddu / Dinkache Ladoo are generally made from homemade ghee (desi ghee / sajuk tup) or good quality ghee (clarified butter). In ready-made Laddus, most of the times quality of ghee is not up-to the mark. While in home-made Ladoos, lots of dry fruits are added, in ready-made Ladoo you will find lot of dry coconut instead of dry fruits. So it’s better to take out some time and make this tasty nutritious Ladoo at home. It’s really easy to make this tasty nutritious Ladoo at home. Home-made Gond ke laddu or Dinkache ladoo has a lot of nutritional value and has a lot of health benefits . It protects our body during winters. It is generally consumed in morning with a glass of milk. It keeps the body warm during winters . Dinkaache ladoo or gond ladoos are given after pregnacy to the nursing mother .These Laddus should not be consumed during pregnancy as they produce heat in the body which is not good during pregnancy. After pregnancy, this Ladoo is good for nursing mother as it increases the feed for baby and helps the mother’s body to recover fast. It also strengthens the back bone. You can give this Ladoo to kids in morning breakfast or in there tiffin box. Kids love this Ladoo and it’s good for their health. This Ladoo is little high in calories, so it should be eaten sparingly. It’s a myth that Desi ghee increases your weight . Famous dietician Rujuta Diwekar in her book Indian superfoods said that the addition of ghee to your meals reduces the glycemic index of food. The reason why there are such combos as dal chawal ghee , Roti Shakkar ghee, puran poli ghee etc in our culture is that ghee reduces glycemic index of these meals. ghee helps in digestion and enhances eyesight. Keep muscles healthy and detoxify the body. In winters it nourishes the skin . There are many home remedies which includes ghee for winter cold. For nursing mother after pregnancy ghee is excellent for nourishing and rehydrating your body and helps to make breast milk. It is strengthening and soothing and helps in digestion , cleansing and healing. I never use sugar to make dinkache ladoo or gond ke ladoo. 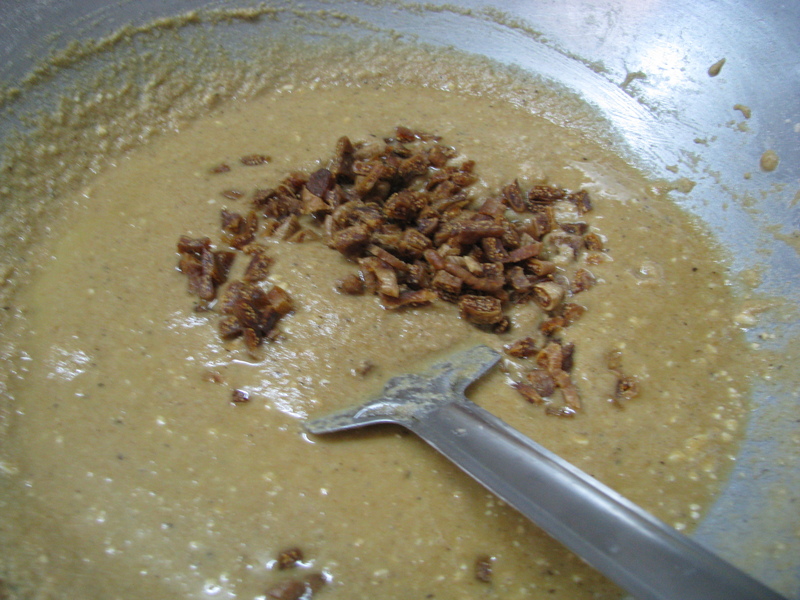 The best part of jaggery is it prevents constipation. It helps in proper digestion of activating digestive enzyme in our body. That’s why many people prefer jaggery after meals. It helps women the combat abdominal pain, menstrual cramp, mood swings after pregnancy. It has lots of health benefits like it strengthens the immune system. Commonly used in Ayurvedic medicine to treat and diarrhoea. It has many anti-aging properties which delays wrinkles. For for nursing mother after pregnancy it helps in gaining the strength of the body. It also control heavy blood flow during periods. It is the rich source of vitamin E and has rich dietary fibre and it has potassium, calcium, magnesium and many minerals. It nourishes our body Inside Out during winters. It is given to nursing mother after pregnancy. It is an source of fats promoting the growth of healthy baby and increasing the volume breast milk. We all eat dry fruits in winters. Even in Diwali gifts we give dry fruits to each other as after Diwali winter starts. We eat dry fruits during winters as the give protection from many diseases like cold, flu and many skin problems. They are Richest source of energy our body warm. 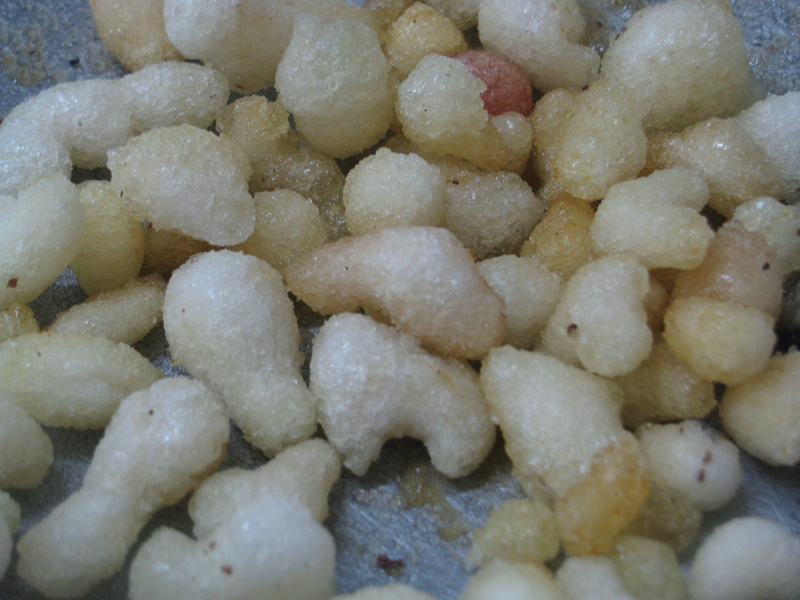 Dry fruits is main ingredient to make dinkache ladoo or gond ke ladoo. All types of dry-fruits like almond, cashews, pistachios, walnuts, raisins, dry figs etc is required. Make homemade ghee / buy good quality ghee (desi ghee/ sajuk tup) to make this dink ladoo. I have used jaggery (gul/ gud) to make this Ladoo. I have grated it before adding it in Laddus. 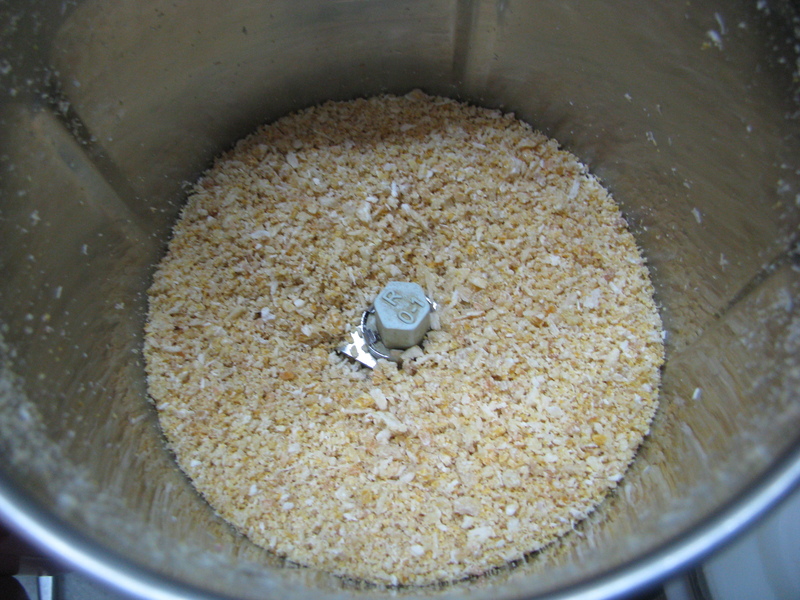 You can also add ready-made jaggery powder (it is called as gud shakar in north India). Use good quality jaggery (gul) to make this Laddus. Gond or dink is the main ingredient in this recipe. 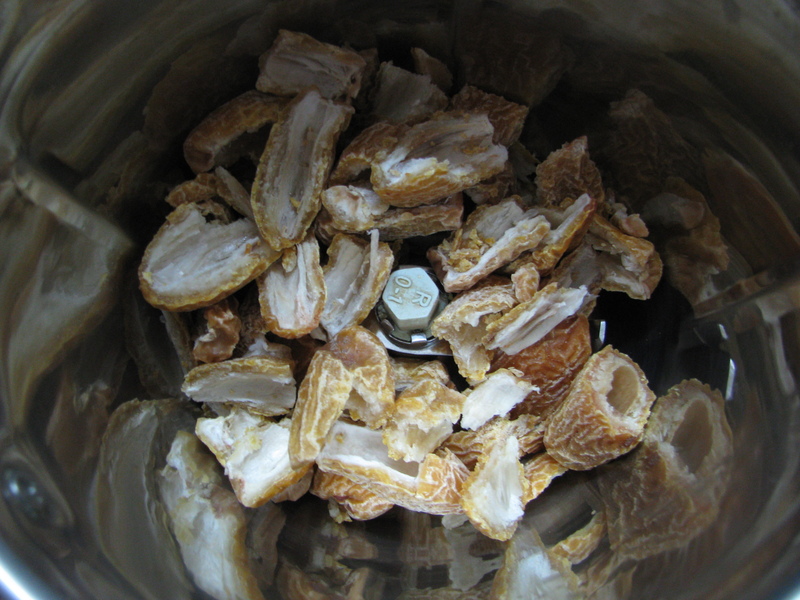 It is a natural edible gum which is white or little brown in color. 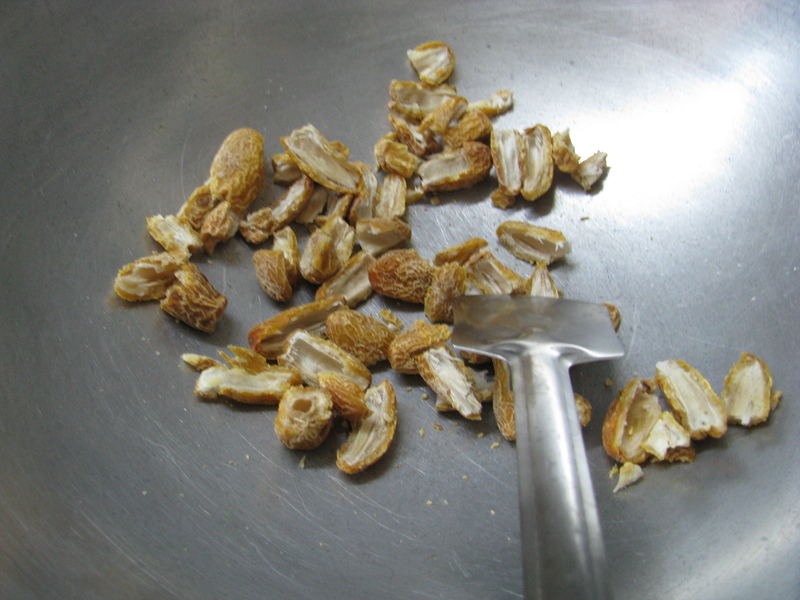 It provides heat to the body and is eaten in cold winter season. Buy this edible gum from good or well-known shops, check that the packet is sealed and the pieces should be dry. Store this gum in an airtight bottle after you open the seal and store it away from moisture. This ingredients also important to make gond laddu.The main work in making this Laddu is to grate coconut, remove seeds from dry dates (chuara / kharik) . I have explained step by step method to make this Laddu . Do share how you make your Dink Ladoo or Gond ke Laddu at home. Remove seeds from dry dates (chuara / kharik) and roast it on low flames . Let it cool down. Powder the roasted dry dates in mixer. 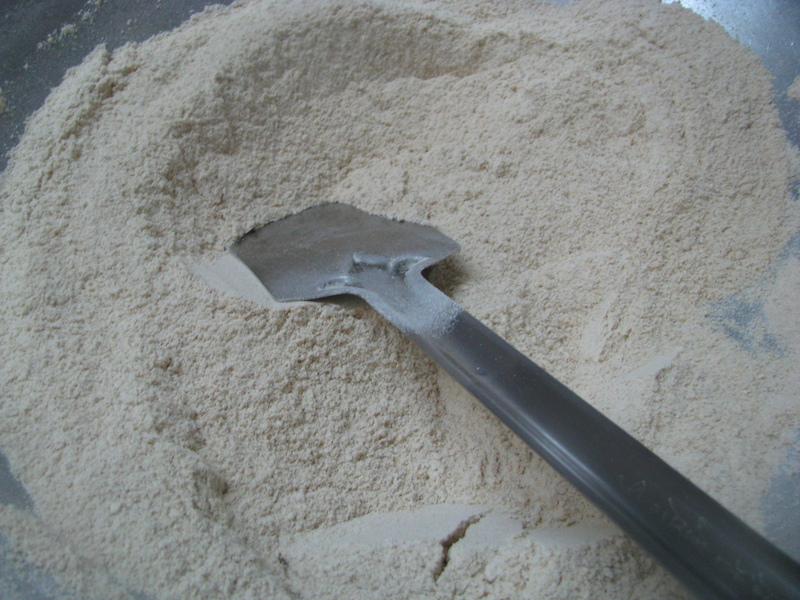 Roast khus khus and make coarse powder of it in mortar and pistel . 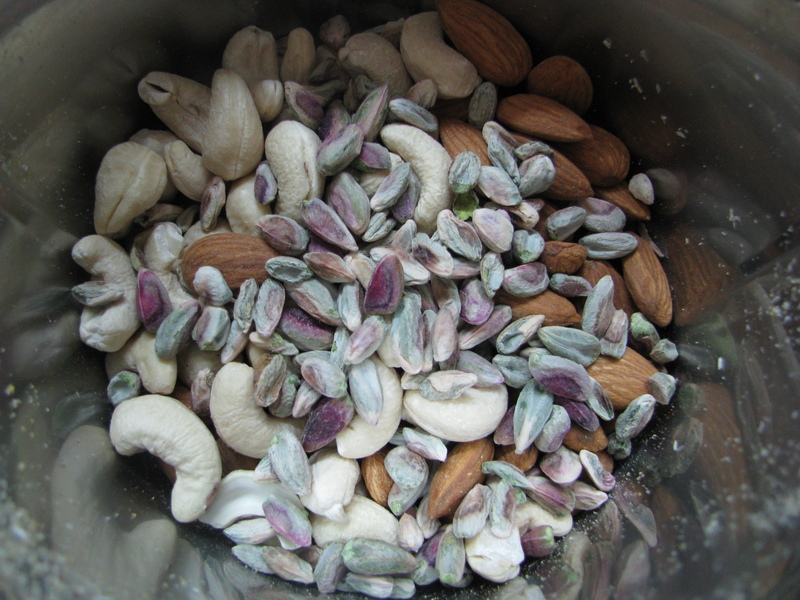 Take almonds, cashew nuts and pistachios in mixer jar and grind it into coarse powder . 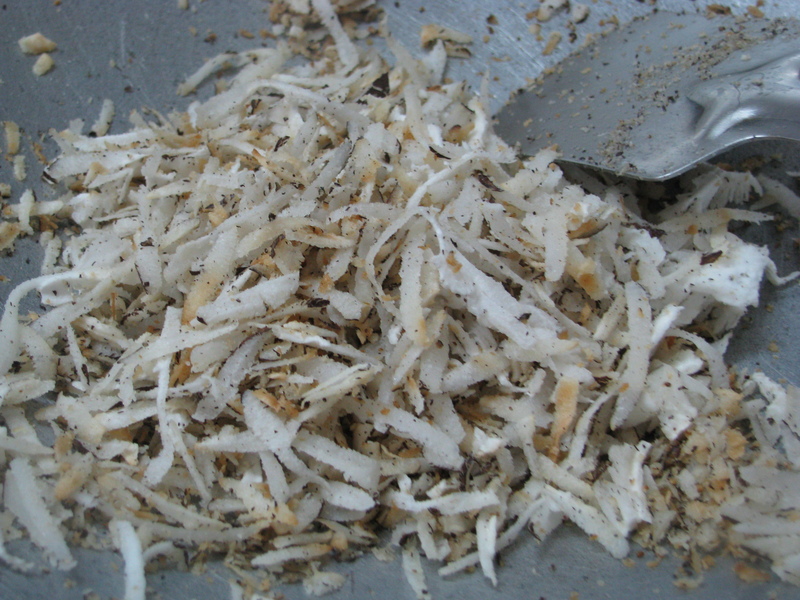 Roast dry coconut in the same khadhai until it becomes light brown . Keep it aside . 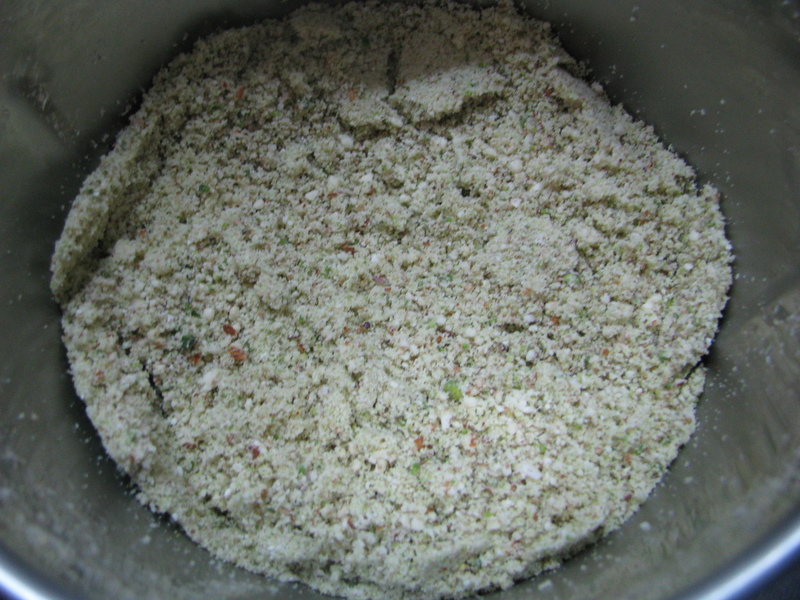 Grind Gond and coconut into powder . Make small pieces of anjeer and keep it aside. Roast wheat flour (gheu ka atta / ghavache peeth) on medium to low flame until it becomes very light and it s colour changes . Nice aroma will start coming out of it. I have used coarsely ground wheat flour (mota atta / jad pith) , you can use normal wheat flour which you use to make rotis . Now add 2 cups of ghee in roasted wheat flour . Stir it for another 4-5 minutes on medium to low flames . 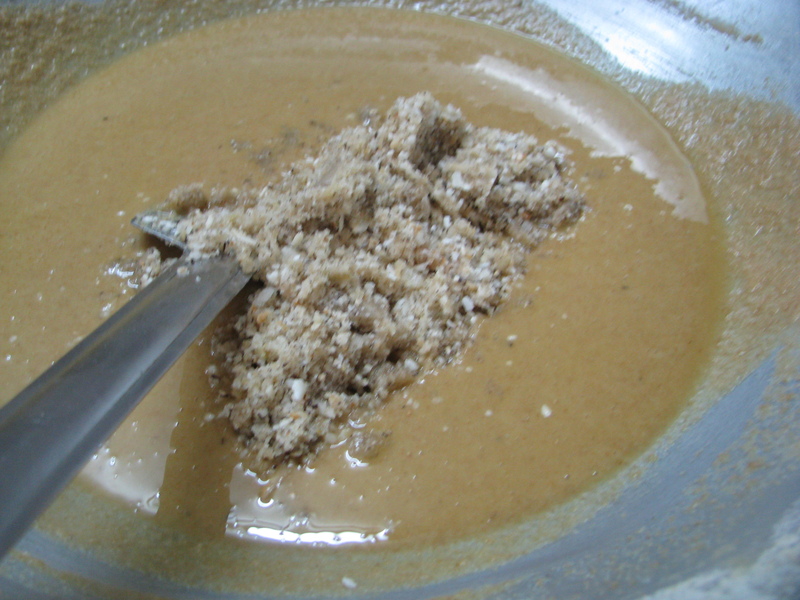 Add roasted coconut and Gond powder to it and stir it for 2 – 3 minutes. 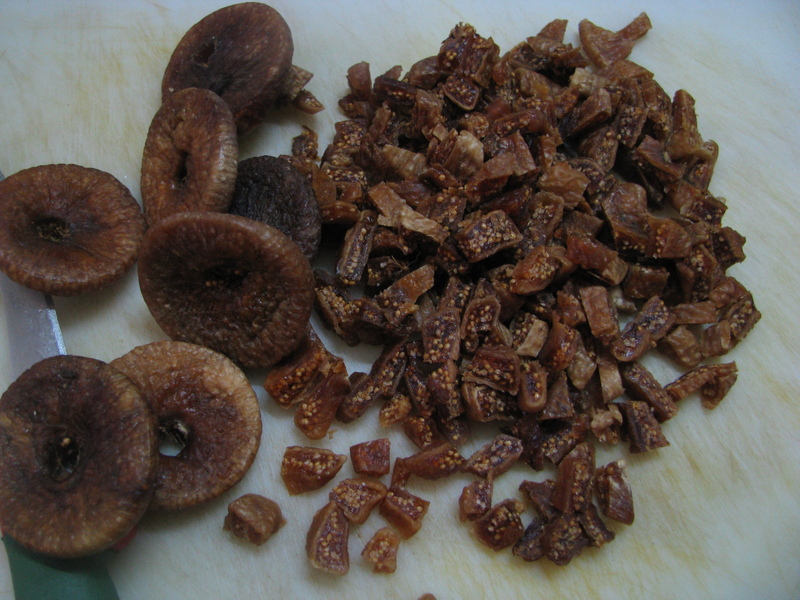 Add dry figs pieces and raisins in it and mix it nicely . 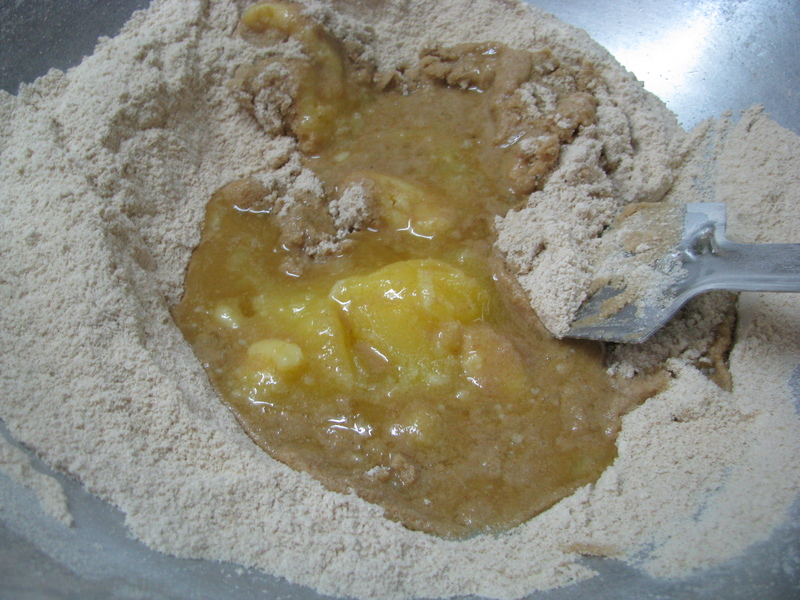 Add dry fruits , khus khus and dry dates (chuara/ kharik) powder to it mix it nicely. 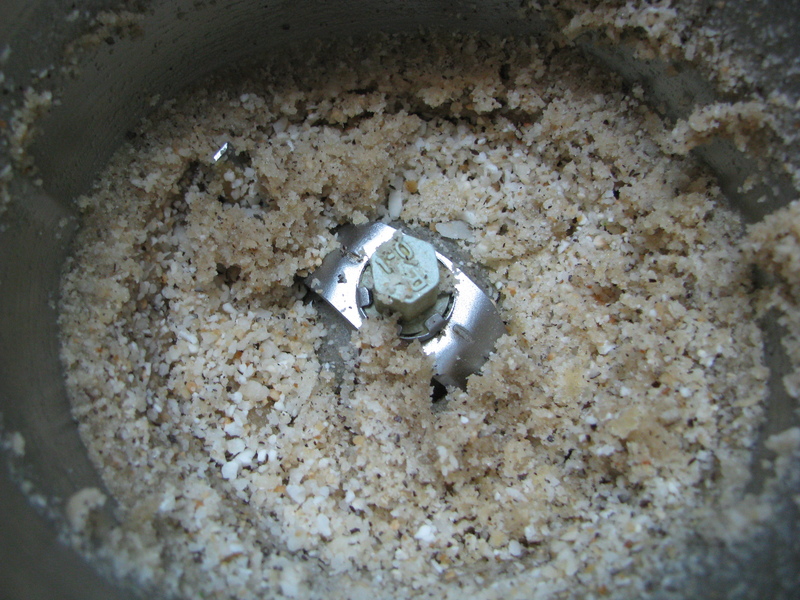 Add grated jaggery , cardamom powder and nutmeg powder and remove the khadhai from the flame. 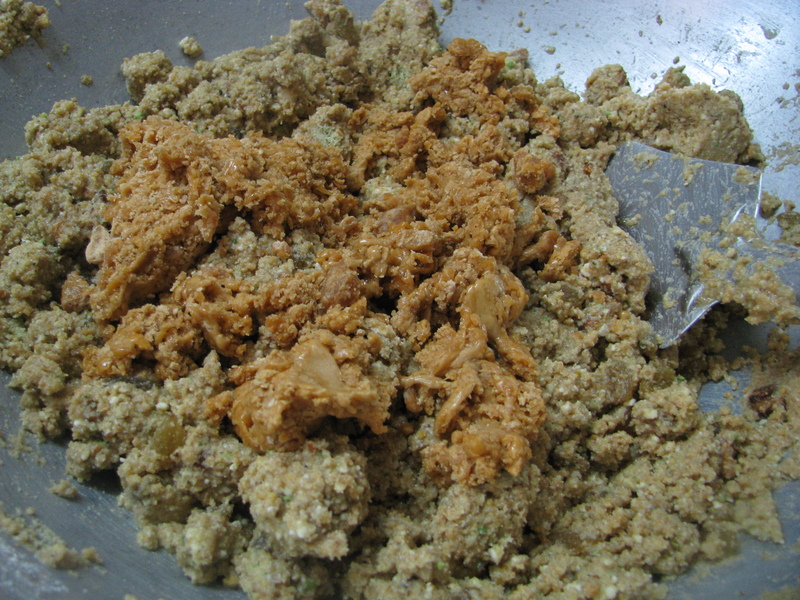 Mix it nicely until the jaggery is mixed properly in Ladoo mixture. Make Laddus from the mixture when it’s hot. What a healthy ladoos.Can they be eaten before pregnancy ? I have a back pain so thinking of making this . Thank you Jayshree for sharing this excellent recipe.. It looks like a big task.. I want to make something healthy for my school going daughter.. She eats dry fruits everyday..and hates in form of a ladoo.. Have also tried oatbars dry fruits.. Nothing works…she is an extremly fussy eater..Was wondering if I can make gondh chikki.. Like only gondh and jaggery chikki..without dry fruits in it.. Is it fine to give gondh to growing kids.. She is lactose intolerant, and vegetarian..
Am always worried about her calciuim intake.. Can you please let me know if gondh is safe for kids..she is 7 years..
Gond or edible gum is highly nutritious for kids but should be eaten in winters and not in summers as the gum has been known to generate heat in the body. I will try to post gond chikki recipe in winters. How is this recipe healthy? It might be tasty but not healthy.. It has loads of sugar and saturated fat – and as a warning can lead to unnecessary post pregnancy weight gain. Better to check with informed dietitian rather than relying on traditions that lack scientific evidence. But if you are looking for taste (at cost of health) they are really good. Thank u for explaining the recipe step by step.. 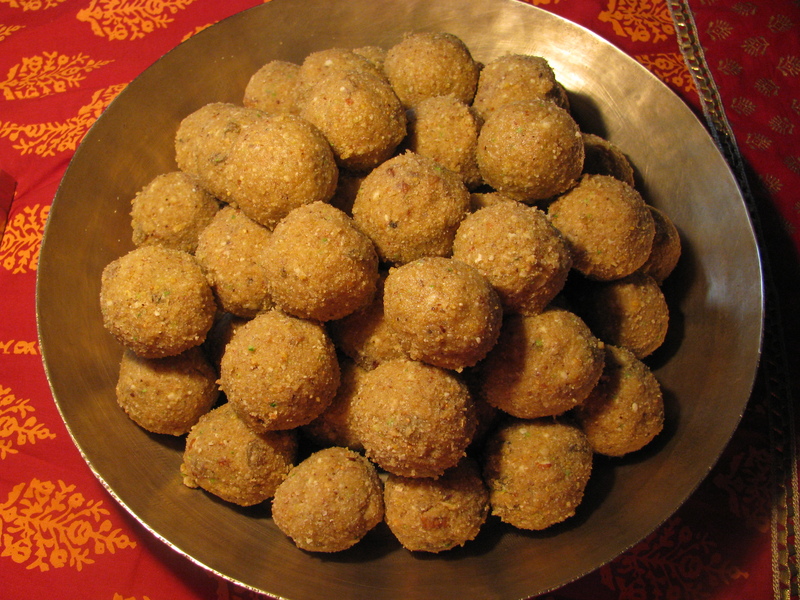 The laddus look awesome n so healthy..
For how long these laddu can be store???? Hi. Plz let me know if these ladoo can be buy ? If yes from where i get it in pune. Thanks in advance. Does a homemade Gond ladoo actually contain approximately 750 calories? can you please clarify if you have used 200 grams of dates I am confused as I feel I am adding more than needed. donot want to alter the taste. Thanks in advance. I have used 200 gms of dates in this recipe. I have added lots of other dry fruits in this recipe so that amount of dates is enough to make this ladoos. Well if you want you can add little more dry dates dates, it will not alter the taste. Do you consider yourself well educated on saturated fats, and sugars, i am sure you are the one using sugarfree and refined vegetables oils. Pls get yourself some insight on the benefits of natural unrefined sugar , unprocessed mustard and other seed oils and ghee which is now considered a super food. I am sure once you know a little you will know if these are really healthy. How many laddoos does this recipe make? Is it 700 calories per ladoo?